(CNN) - Progressives, states and civil rights advocates are preparing a flurry of legal challenges to the Trump administration's decision to add a question about citizenship to the next census, saying the move will penalize immigrants and threaten civil rights. "The citizenship question is the latest attempt by President Trump to stoke the fires of anti-immigrant hostility," Padilla said in a statement. "Now, in one fell swoop, the US Commerce Department has ignored its own protocols and years of preparation in a concerted effort to suppress a fair and accurate census count from our diverse communities. The administration's claim that it is simply seeking to protect voting rights is not only laughable, but contemptible." New York announced it would also lead a separate multi-state lawsuit to challenge the move on Tuesday. Former Obama administration Attorney General Eric Holder also blasted the move and said his organization, which focuses on voting enfranchisement and redistricting, would also pursue litigation against what he called an "irresponsible decision." Holder said contrary to the rationale presented by the Justice Department, he and other modern-era attorneys general were "perfectly" able to handle those legal matters without such a question on the Census. "The addition of a citizenship question to the census questionnaire is a direct attack on our representative democracy," Holder said in a statement. "Make no mistake -- this decision is motivated purely by politics. In deciding to add this question without even testing its effects, the administration is departing from decades of census policy and ignoring the warnings of census experts." White House press secretary Sarah Sanders said the move was "necessary for the Department of Justice to protect voters, specifically to help us better comply with the Voting Rights Act, which is something that's important and a part of this process." Pressed on whether this would disproportionately affect more liberal states, Sanders said: "I think that it is going to determine the individuals in our country and provide information that allows us to provide with our own laws, our own procedures." Critics of the move say that including such a question on a government survey will scare non-citizens and vulnerable immigrant communities into under-reporting, especially in the context of the Trump administration's hardline push to curtail illegal and legal immigration. By undercounting these populations, they argue, there will be a major impact that follows on voting and federal funds. The Commerce Department said the decision came after a "thorough review" of the request from the Justice Department. The priority, Commerce said, was "obtaining complete and accurate data." "Having citizenship data at the census block level will permit more effective enforcement of the VRA, and Secretary Ross determined that obtaining complete and accurate information to meet this legitimate government purpose outweighed the limited potential adverse impacts," the statement said. 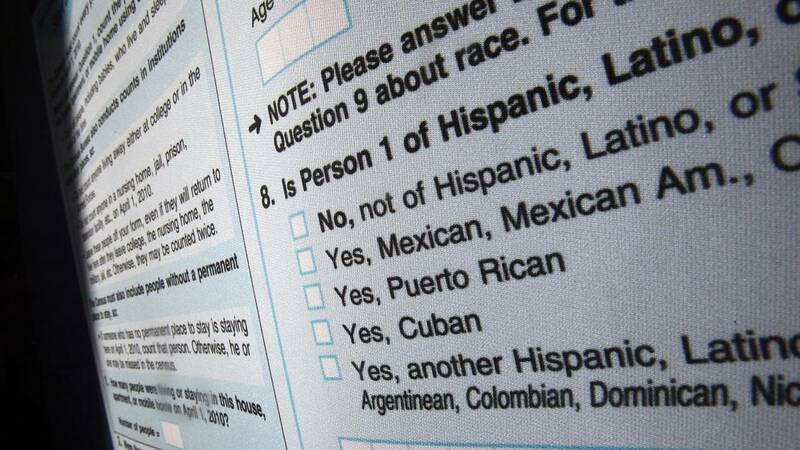 Wendy Weiser, director of the Brennan Center's Democracy Program, a nonprofit that works on issues of justice and civil rights, said the question had no place in the Census. "Our Constitution requires a complete and accurate count of everyone living in the country, no matter her or his citizenship status. The administration's decision to add a citizenship question is at best a dramatic misstep, and at worst a politically-motivated move that will undermine a fair and accurate census," Weiser said. "This question is a dangerous move that could lead to a serious skewing of the final census results, which would have a deleterious effect on our system of representative democracy. We urge the administration to reconsider."